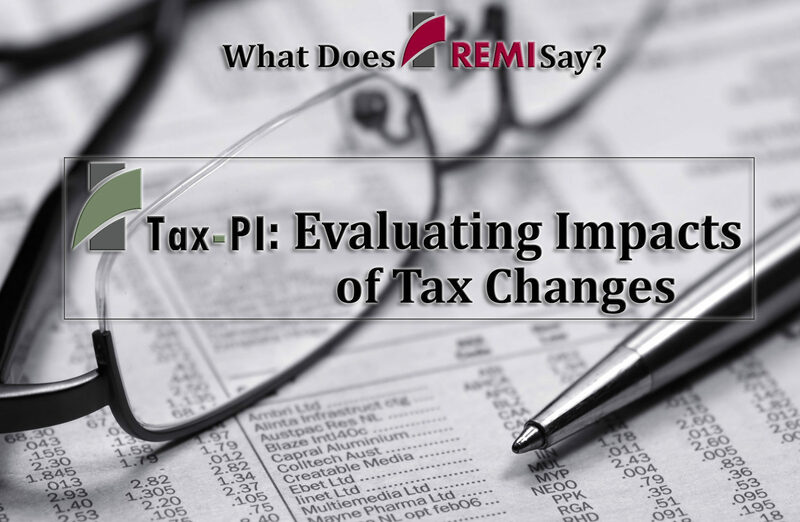 St. Paul, MN - "Evaluating Impacts of Tax Changes"
The advantages and capabilities of the REMI Tax-PI model will be highlighted at our upcoming luncheon in St. Paul, Minnesota on Friday, January 26th, 2018 from 11 a.m. to 1 p.m.
REMI Vice President Billy Leung and Economist Peter Evangelakis will be describing the multitude of applications for this state-of-the-art modeling tool. Tax-PI has been used for evaluating the fiscal and economic effects of tax policy changes and was developed based on 30 years of tax policy modeling experience. The model gives the user an adjustable fiscal model to illustrate state specific revenues and expenditures defined by personalized tax policy variables. Any major state policy change will create a ripple effect on employment, migration, consumer price, and consumer spending and the REMI Tax-PI model can take these effects into account in order to forecast significant changes and outcomes. This allows analysts to capture direct, indirect, and induced fiscal and economic effects and links the effects of taxation and other policy changes over multiple years with the REMI PI+ model. We’re offering this luncheon free of charge, although we ask that you register in advance. If you would like to attend this event, please email Brian Boyd at brian.boyd@remi.com or contact us by phone at (413)549-1169.